Fears, largely unfounded, that the United States will lose the race to 5G – the next generation of wireless service – apparently has otherwise smart people suggesting some pretty strange notions. 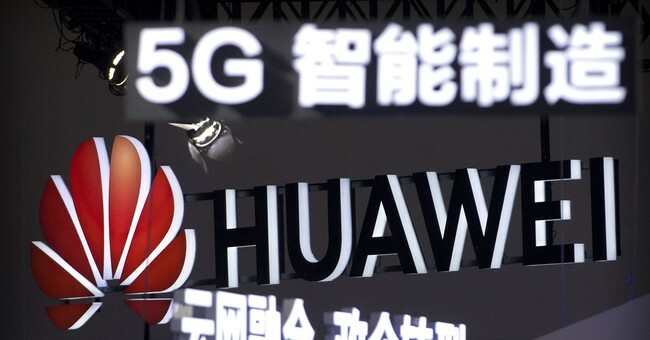 The idea for example that the Chinese will acquire the means to implement the “Internet of things” before the U.S. can is being used by some as the basis of a call for a Manhattan Project-like effort to make sure America wins the 5G race. Specifically, folks close to President Donald Trump are proposing the development of a government-owned, carrier-neutral, wholesale-only network from which technology companies could then access and re-sell service at the retail level. This is a bad idea. Just because the government can do some things well doesn’t mean it should be allowed to do everything, especially where the development and commercialization of new technologies are concerned. The feds did indeed invent the Internet – but that doesn’t mean they need to head up every major innovation moving forward. There are things the federal government can do to win the race to 5G, like making more spectrum available for commercial use and cutting the amount of time and paperwork imposed by local governments to deploy facilities. Nationalizing the U.S. wireless industry (or at minimum entering the market to compete against the private sector) is beyond the scope of what it should be allowed to do. It is often the case that government-led efforts at commercialization of new technologies get lost in the hype and spin. The politicians buy in to what the magazines and research journals say is not just possible but “right around the corner,” sometimes writing law based on predictions that end up not coming true. That’s how, for example, the problem with renewable fuels standard came about. Elected officials wrote into law the requirement to add into the national energy supply fuels that hadn’t made it out of the laboratory into the refinery. We still haven’t figured out the way around that so we’re pumping more and more government-subsidized corn-based ethanol into the gasoline supply in amounts beyond our capacity to produce it without effecting the food supply. We can’t allow the same kind of mistake to happen with 5G. As a practical matter, there’s almost no chance a government owned or so-called neutral contractor could build the network out from scratch inside the 2 to 3-year target window. In fact, that’s probably the exact wrong way to go. To anyone that wants to see a fully-functioning, national 5G network up and running perhaps even by the end of the president’s first term, that should be a cautionary note of the first order – especially when U.S. wireless firms have been successfully driving 5G deployment for years using a skilled, experienced, existing workforce. There are other considerations as well. Significant federal investment and control over 5G would be an impediment to innovate to the next great technological innovation after that. The bureaucracy protects what it has, and resists change. Witness the way the United State Air Force attempted, apparently successfully, to subsume the proposed “Space Force” into its own mission description rather than see it launched as a six branch of the U.S. military. Once the government gets control of the 5G network it won’t let it go and it will resist efforts to go to the next level. The technology companies that are already working on it, however, have every incentive to get to 5G as quickly as possible and then move to whatever comes next. The profit motive works. It ought to be allowed to.